By J.R. Gaunt of London. English made full size 3"/8cm cast white metal aircrew wing. Pin backed. Maker's marks to rear. Nicely detailed wing in very good condition. 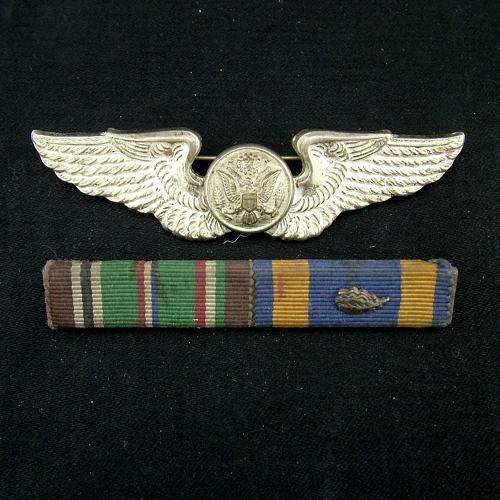 Comes with a small medal bar with ribbons for the European theatre of operations and Air medal with one oakleaf. Stock code U23460.